From the moment you walk into our beautiful, modern office, you will know you’ve come to the right place for advanced orthodontic care. You will be greeted by name and made to feel right at home. Our friendly staff will cater to your every need. The team at Weber Orthodontics prides itself on providing our patients with outstanding service, and we will always take the time to answer all of your questions and explain every aspect of your care. It is our commitment to provide leading-edge, personalized orthodontics that caters to one thing – YOU. Weber Orthodontics has a team of caring professionals ready to help you realize the smile you’ve always wanted for yourself or your child. The team at Weber Orthodontics has been selected carefully for both their skill and their ability to connect with people. Our clinical team is highly experienced and receives on-going education to keep up with the latest advances. 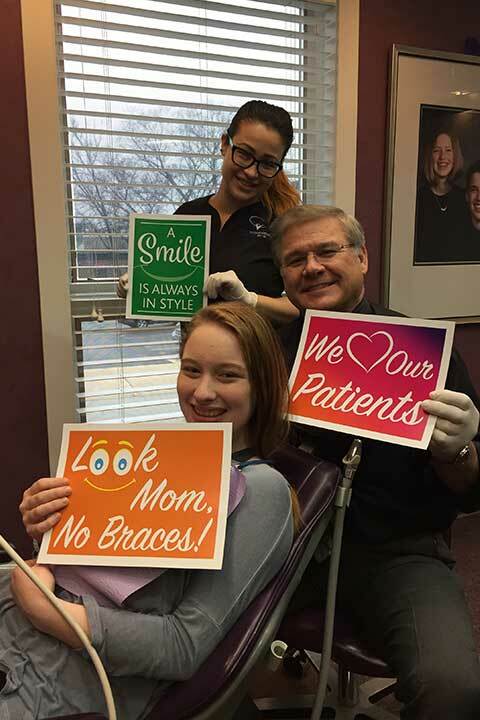 They’re excited to be part of the transformation that orthodontics can bring, and are expert at motivating our patients to keep their treatment on track. Our administrative team works to keep everything running smoothly with your appointments and with your financial account. They’re available to answer any questions you may have! Please don’t hesitate to let our team know how we can make your experience with Weber Orthodontics a great one!